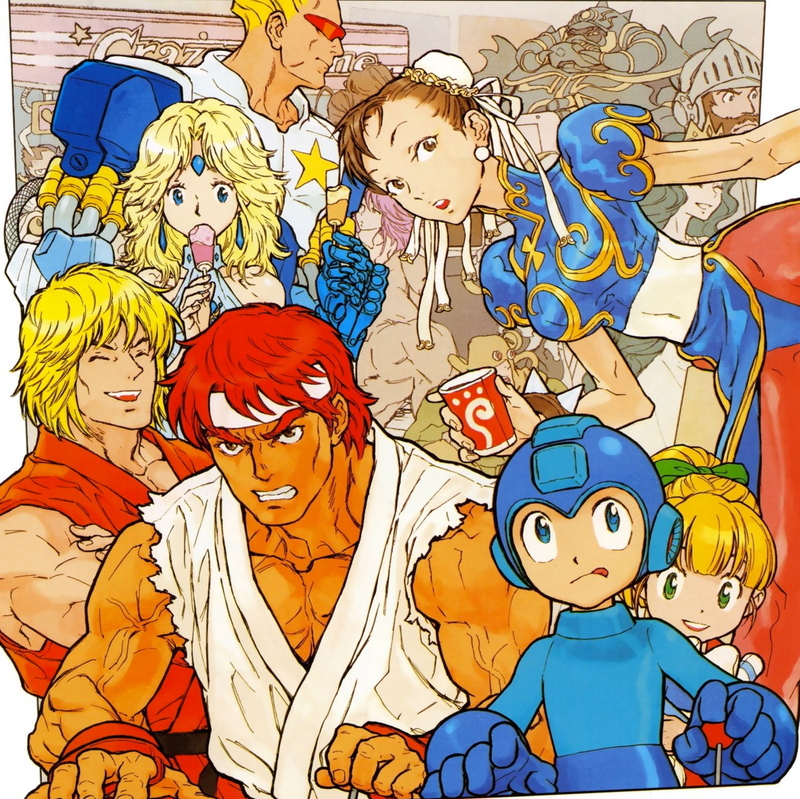 Rockman Corner: Capcom Trademarks "Fighters of Capcom"
Capcom had to cancel the game because they remembered it would actually be good for their old blue mascot. In b4 Zero as series rep.
Shame that such a thing wouldn't include cast from things such as Captain Commando or Breath of Fire, and other oldies. More shame though that the populars would probably overwhelm it. ...Assuming that this isn't just a localized title, that is. But regardless, the populars always take over things. They wouldn't put in Classic Mega Man he doesn't have enough moves remember what they said during MVC3's development? Yeah that was actually their excuse. In all seriousness though, I really hope it's not that card game. If it's a fighter, I'd like to see a bit of diversity instead of making half the cast SF and RE characters. Breath of Fire, Sengoku Basara, and Power Stone needs some love. If this is indeed that 'dream game'.... Capcom, remember those polls we had a while ago? The ones where X won hand over fist? Yeah. It might not BE a game at all, it's just a trademark. "Fighters of Capcom(TM) Footie Pyjamas"
"Computer game software; Computer games in the form of cartridges, cassettes, discs or tapes; Video game cartridges; Downloadable game software; Downloadable computer games; Electronic game programs for mobile phones and smart phones; Electronic game software for mobile phones and smart phones; Downloadable game program for playing on mobile phones and smart phones; Downloadable game software for playing on mobile phones and smart phones; Screen saver software and wallpaper software; Downloadable screen saver software and wallpaper software for mobile phones and smart phones; Downloadable graphics and music via a global computer network; Downloadable graphics, music and ring tones for mobile phones and smart phones." what is that artwork from? Congratulation on the new domain. If I follow the URL to this site, I get a Server Not Found Error. If I search on Google and click the entry, the site comes up. If I then click the URL up top and press enter, I get the Server Not Found error, again. Searching from Bing give the Server Not Found Error. Bookmarking the link that Google uses in its search result works for now.